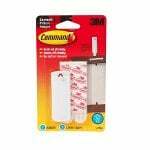 Why put unnecessary holes in your walls with nails and screws when you can easily mount these 3M Command Medium Adhesive Mounting Strips to any wall without tools and without damaging your wall's paint? 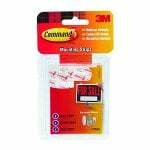 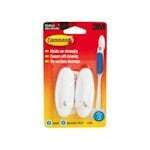 These 3M Command Medium Mounting Strips can be used with 3M hooks, 3M cord clips, 3M picture hangers, and numerous other applications to hold many things weighing up to 1 pound. 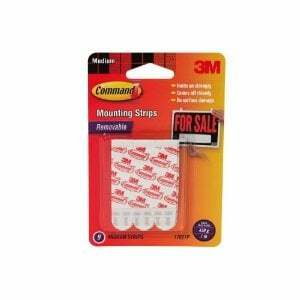 These 3M Adhesive Medium Mounting Strips use a Command Adhesive that sticks strong enough to hold up to 1 pound but will remove cleanly without scuffing up your wall.